Under cabinet lighting isn’t just for use under kitchen cabinetry anymore. When you purchase a cabinet lighting kit that comes with LED light bars and features an adhesive application and modular, linkable design, the under cabinet lights can be used in a wide variety of locations around your home. Got a dark closet? Light it up! Have a home office area? Add some task lighting! Stub your toe in a late-night bathroom trip? Use some LEDs! All you need is an outlet and an imagination! Read on for ideas on where in your home you can use under cabinet lighting that’s not actually under your cabinets. Install LED light bars under laundry room cabinets to Illuminate your workspace as your fold clothes, treat stains, or separate colors! 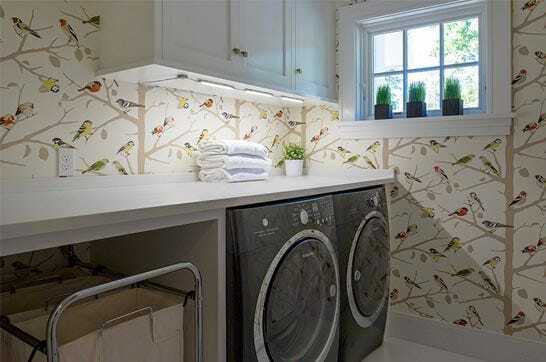 Maybe with a laundry room as nice as this one you’ll be more likely to do laundry on a regular basis? Gather 'round! The kitchen is the center of the household with family and friends congregate, but often the space can feel a bit too sleek and utilitarian. Adding cabinet lighting underneath your peninsula or island creates a beautiful glow that makes the space feel warm and welcoming. Usually there isn’t much to be done to spice up a bathroom in your home other than adding a coat of paint, a new shower curtain, or maybe some new fixtures (and who wants to go to the trouble?). 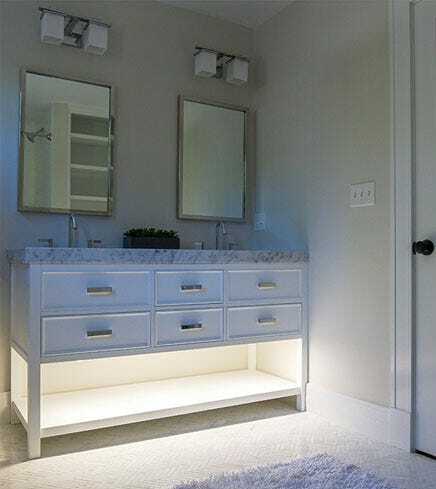 However, by adding motion sensor LED light bars under your bathroom vanity you can change the whole look and feel of your bathroom in literally minutes. The under cabinet lights create an inviting and invigorating glow that serves as both accent and room lighting. The motion sensor makes them easy to turn on and off with just the wave of your foot. Plus, these lights make for perfect night lights for those midnight bathroom trips! Whether you work from home full-time or just browse Facebook and answer emails, a home office needs to be comfortable, efficient, and appealing. 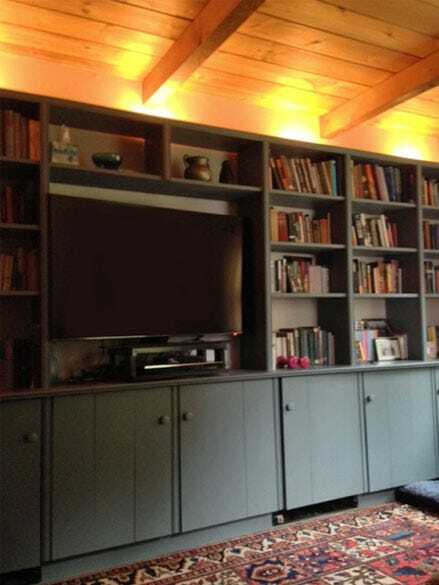 Adding led lights under a desk hutch or credenza not only make the space look much nicer, but provide the appropriate lighting needed to work by! Try under cabinet lights in a natural daylight color temperature at 5000 Kelvins, that is said to improve mood and boost productivity and efficiency! Talk about a perfect task light! Place LED light bars on top of cabinetry or beams in your home pointing up to create up-lighting that is so much more than accent lighting. With the right lumen light bars, such as ones that are high in lumens and efficacy, you can illuminate an entire room! 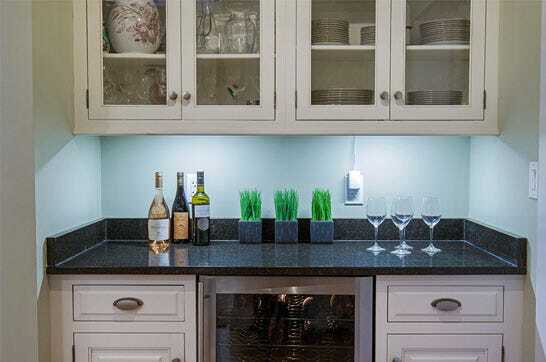 Give your home bar area an instant upgrade with a quick application of under cabinet lights! 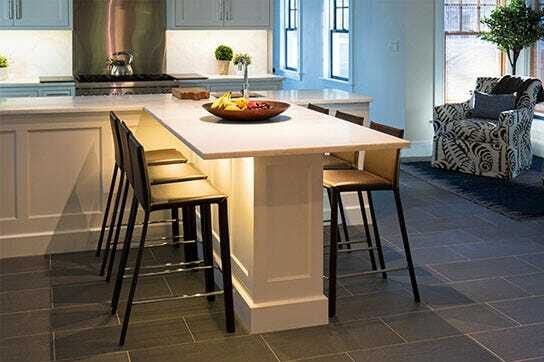 The soft glow of the LED on your granite countertop, glinting of your various wine glasses and liquor bottles will create a modern, high-end and inviting look in the space. 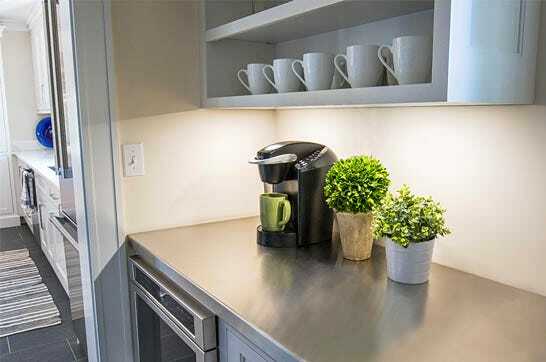 Place LED light bars under your coffee bar shelving to illuminate your work area. Mix up the perfect cappuccino or latte with the help from the clear and vibrant task lights above! 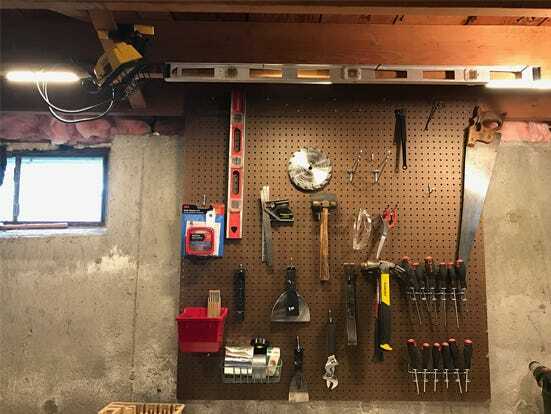 Who knew that under cabinet lighting also works perfectly as task light in your workshop, garage, or basement?! Stick the adhesive light bar under a shelf or even on a low ceiling to illuminate your workspace with powerful, flicker-free LED light. Any ideas that we didn't include? Try them out for yourself!